San Francisco is arguably the most charming city in the United States. With its hilly terrain, picturesque architecture, and prime setting on the Bay, it’s hard not to fall in love with SF at first sight. Once you get a feel for the city and its inhabitants—including its famously liberal mindset and cultural diversity—you’ll be hard-pressed not to like it even more. 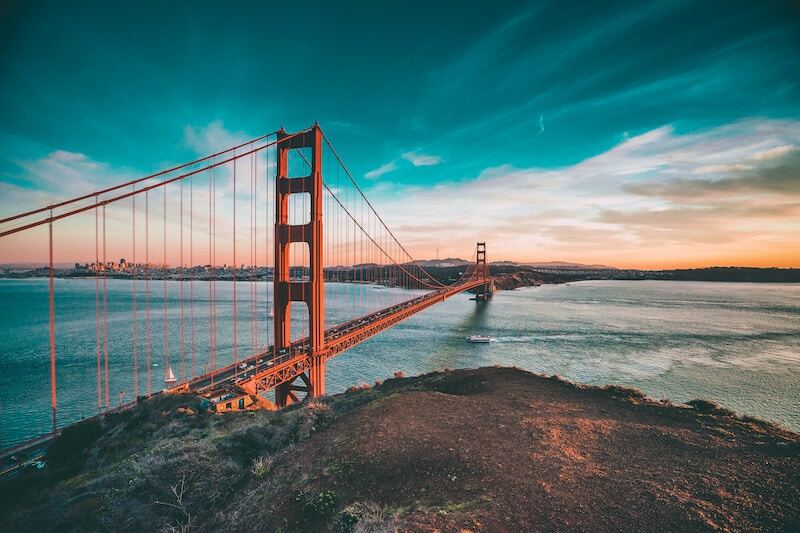 Whether you’re a local always on the go or a visitor trying to maximize your time in the Golden City, you can count on Bounce for reliable bag and luggage storage in San Francisco. Do you live and work in San Francisco but need to go from one place to another without being held back by the weight of your bags? Bounce has partners all across San Francisco so you can safely drop off your things for short-term storage. Are you heading to San Francisco for work or leisure? Maybe you have an awkward time frame during which you have no place to store your things, or perhaps you want to discover neighborhoods that are located in between your port of entry and your hotel/Airbnb. Whatever the case may be, you can rely on Bounce luggage storage in San Francisco as a daily solution for your bags. Bounce proudly partners with local businesses for short-term luggage storage in San Francisco. Our mission is to offer people the freedom to experience all that the city has to offer, without from the burden of your bags. We’ve specifically looked into San Francisco’s most popular neighborhoods, as well as major hubs of transportation, so that you can drop your bags off with a Bounce partner and roam the city with ease. San Francisco is a quintessential American city with endless charisma and character. Disparate populations from all walks of life find their niche in the City by the Bay. Whether you want to hit up top San Francisco tourist attractions, spend your hard-earned dollars at highly rated restaurants and shops, or simply get a feel for the city by roaming the streets and feeling the breeze by the Bay, look no further than Bounce's handy guide to San Francisco. High-end clothing stores: Union Square is ground zero for shopping in San Francisco. If upscale department stores are your thing, head to Neiman Marcus or Barneys New York. More into the intimacy of luxury boutiques? Walk over to Maiden Lane, which is gated for most of the day for safe pedestrian strolls and prime (window) shopping. Plus: Westfield San Francisco Centre is a more budget-friendly option with hundreds of retailers from which to choose. Vintage and thrift shops: The Mission District has the highest concentration of quality vintage and thrift shops in San Francisco. Be sure to check out Thrift Town for its endless inventory and Mission Thrift for fun finds. Souvenirs: If you're the type of person who likes to take a piece of their travels home with them, or want to buy souvenirs for loved ones, look no further than the shops at Pier 39. Skip limited last-minute purchases at SFO in favor of Pier 39's Keychain Store, the Cable Car Store, and Only in San Francisco. Cioppino's: Located in Fisherman's Wharf, this restaurant is named after its signature dish that originated in San Francisco in the 1800s. Cioppino is an Italian-American seafood stew in savory tomato broth served with sourdough toast. It's also on the menu at a number of restaurants across the city, including the legendary Tadich Grill in Downtown San Francisco. Mission burritos: Born and bred in the Mission District, Mission burritos are characterized by their large size, extra rice, and variety of ingredients not typically found in standard burritos. Some people consider Mission burritos to be as integral to San Francisco's food culture as pizza is to that of Chicago. La Taqueria, El Farolito, and Taqueria La Cumbre are only a few top-rated options for this Mexican standout. Humphry Slocombe: The ice-cream scene in San Francisco is second to none, and Humphry Slocombe—with outposts in both the Mission and the Ferry Building—is arguably the leader of the pack. With experimental flavors including Secret Breakfast (bourbon ice cream sprinkled with cornflakes), they give Ben & Jerry's a serious run for their money. The Bay Area Rapid Transit (BART) is a public transportation system that services San Francisco, Oakland, and the suburbs in neighboring Alameda, Contra Costa, and San Mateo counties. You can count on Bounce for bag and luggage storage near select BART stations. Caltrain is the primary commuter rail line servicing San Francisco and Silicon Valley. If you’re traveling via Caltrain and need to temporarily store your bags, book with Bounce for easy and convenient luggage storage. San Francisco International Airport is the second busiest airport in California, and serves as a major gateway to Asia and Europe as well as destinations across North America. Luggage storage at SFO is up to six times the cost of storage with Bounce, so book with us to save your money for something special in the city. Pier 39 is the most visited attraction in San Francisco, offering an array of shopping, dining, and entertainment options in a family-friendly atmosphere on the Bay. No visit to San Francisco would be complete without a stroll through this tourist favorite, and Bounce is happy to partner with local businesses for bag and luggage storage near Pier 39. Fisherman’s Wharf is among the most-visited areas in San Francisco and the western United States at large. A visit to San Francisco would be incomplete without a journey through the legendary Fisherman’s Wharf, where you can rely on Bounce partners to securely store your things. Union Square is one of the most-concentrated commercial urban areas in the United States and is thus a major tourist attraction. From hotels and department stores to art galleries and theaters, chances are you’ll find yourself in Union Square at some point of your stay in San Francisco—and a Bounce partner will be conveniently nearby to store your things. Downtown San Francisco encompasses the city’s Financial District, and depending on who you ask, several other neighboring areas. Not only limited to business professionals, Downtown SF offers an array of attractions for visitors and locals alike. You can count on Bounce for safe bag and luggage storage in Downtown San Francisco. San Francisco’s Ferry Building is a marketplace, office building, and terminal for for commuter ferries traveling across the San Francisco Bay. If you’re traveling via ferry with bags in tow, you can count on Bounce for short-term luggage storage near the Ferry Building. The Embarcadero is the scenic roadway along the eastern waterfront of the San Francisco Bay. The most worthy waterfront views in San Francisco are adjacent to the Embarcadero, where you can find Bounce partners nearby to store your bags. Oracle Park (formerly known as AT&T Park) is home to the San Francisco Giants baseball team. If you’re headed to a game or concert at Oracle Park with bags or luggage in tow, count on Bounce to book short-term storage in the area. The Moscone Center is the biggest convention and exhibition complex in San Francisco. If a work conference or leisure outing brings you in town to the Moscone Center, you can look to Bounce to conveniently store your bags and luggage close to the complex. The Mission District, known as simply “the Mission” to locals, is a vibrant and diverse neighborhood in inland San Francisco. If you find yourself strolling the streets of the Mission, know that you can book short-term storage for your bags and luggage with Bounce. Oakland Coliseum is a multi-purpose sports stadium just outside of San Francisco in East Oakland. Oakland Coliseum has different bag check policies depending on the event at hand; in order to avoid confusion and lines, we recommend storing your bags with Bounce before heading to a game.